Auto Shop Writer was first created in 1982 with a focus on meeting the stated needs of automotive repair shop owners. Since that time, 100 % of our development has been in response to the continued input of our clients. This plan has been coupled with the continuing improvements in technology bringing about new features and ease of use. ASW 9 is the latest pairing of industry expertise and Windows power. Auto Shop Writer has been known as “never failing” and this strength continues today in our latest releases. Even with the complexities of the Windows operating system, ASW is still rock solid, as is the company that built it for you. We don’t like long phone systems or script readers for support either, and you will never get either one from us. Instead you will reach a qualified expert on Auto Shop Writer who can give you correct, specific, answers, or actually connect to your computer to resolve your problems. Auto Shop Writer also has video training courses ( short and to the point ) and direct alerts to breaking tech news. Support is provided by email, phone, chat, and direct connection. Of course, you may go a long time between needing help, but you can use the same channels to send us your ideas for enhancements and refinements. We listen because we value your business ! Fully integrated VIN decoding with details of vehicle body, engine, transmission, and more. Automatic map to clients and vendors locations. If that’s what your looking for, we don’t have one. A salesman wants your business and might tell you anything you want to here. We want your business, too, but we’ll only share the facts about Auto Shop Writer. We hope that will be enough to have a long, and productive, business relationship between us. It would take at least 50 hours to learn all of the features, good and bad, of a management system. Most people just don’t have that time to spend. To see what ASW 9 will do for your specific needs, call (800) 504-6787 to schedule an online demonstration. You will then see it working on a very large, actual shop database. We will give you an overview, and then show you the answers to your exact questions. There is no script for us. We respect our relationships too much to do the “old hardsell” or to take you where you don’t want to go. By this point, you know enough about computers and systems to have a clear idea what works for you, and what doesn’t. Hopefully, ASW 9 will be the best solution to your needs. Lets talk and find out ! Time clocks for shop time, actual labor time, and down time on tickets. Auto Shop Writer 9 has fully integrated the CARFAX vin database, and the QuickVin service. At absolutely no cost to you, detailed vehicle information is available with the unique VIN, and you can get it by simply entering the license, and state of registration. You also benefit with free advertising whenever someone obtains a CARFAX report on a vehicle you service. Our seamless integration allows you to avoid expensive equipment or fees, giving you the data you need when ordering parts, and looking up work in the service guides. Lets make it very simple ! You can upgrade any version of Auto Shop Writer today for a first month fee of $ 395, and then $ 195 month thereafter ( license subscription fee). You pay only as long as you use the system. We bill your credit card monthly, and the fee includes all updates and support. This includes the full Auto Shop Writer program plus any additions we make while you continue to subscribe. If you want to explore this further, call us at (949) 589-3186. We will provide you with a simple agreement that gives you the details. There is no minimum or maximum term to this agreement. Of course the price does not include 3rd party services or items MasterLink Software resells. If you’re tired of paying for that credit card terminal, paper, and extra phone line, our fully integrated Credit Card processing will save you money. Our provider will give you a free swipe device for your workstations, and all of the transactions are handled within ASW, and across the internet for very fast results. In addition, our provider guarantees they will meet, or beat, you current rates, with no hidden charges, and no long term contract. You can save money in so many ways … and doesn’t that help ? of the ADS software will be available. Although MasterLink Software is only responsible for issues directly related to the operation of Auto Shop Writer, we will help you with other technical questions and issues whenever possible. We will also be available to your hardware consultant to discuss any equipment and networking needs. Microsoft’s whole new operating system. It is very likely that ASW 10 will function fine on your current computer equipment. Most people have hardware that is less then 5 years old, with ample storage and memory. The ideal system would be a server running Windows 2012 Server, 64 bit with 8 GB of RAM and a 500 GB hard drive. Ideal workstations would run Windows 8 Professional with 6 GB of RAM and 500 GB hard drive. The network would be 1 GB wired. These are current optimum standards, and older systems will do fine. 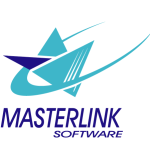 Please call MasterLink Software at your convenience to discuss your specific needs and questions. We look forward to hearing from you.